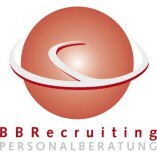 BBRecruiting Personalberatung offers a professional service. BBRecruiting Personalberatung responds to individual requests and needs. BBRecruiting Personalberatung comprehensively analyzes the starting situation and possible actions.